The first Healthy Eating Pot Luck of the season was held in March and included a dozen people with an amazing array of dishes to share….from fresh salads and appetizers to well-seasoned main courses to vegan chocolate ice cream and anti-oxidant rich dark chocolate with pomegranate seeds! We feasted, enjoying each other’s company as well as the discussion led by Joe Gillotti. 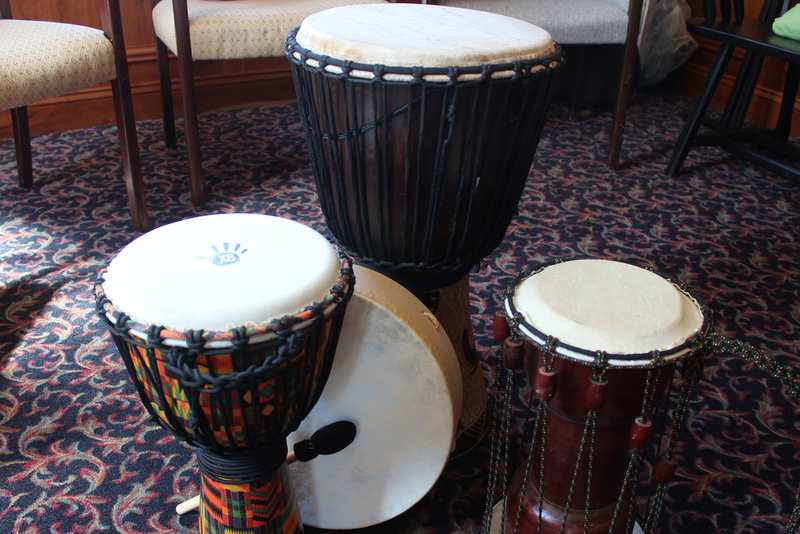 The pot luck was followed by an enlivening Drum Circle led by Jerry Gay and Tracy Yoho. As we gathered around the drums we were instructed in various techniques, and were led in several different rhythms which filled the room with joy and a sense of calm. The sense of community, laughter, and shared experiences made this a wonderful way to spend some time on a Saturday! Ann’s Place is excited to announce a great kick off to the Spanish Speaking Support Group in March 2016! The Spanish Speaking Support Group takes place the third Tuesday of every month at the Danbury Library; it is led by Bilingual Clinical Social Worker Candy Murias, LMSW. Peggy O’Shea has volunteered to join the April meeting, on Tuesday April 19th, 2016. Attendees can look forward to a wonderful night discussing wellness techniques, and a holistic approach to better health. Ann's Place is excited to continue to grow the Health Equity Program by providing more services to meet our clients' needs! The clinical team, including the onsite staff, facilitators and wellness providers were fortunate to have Dr. Bob Cooper speak at our March supervision meeting. Dr. Cooper is a recently retired oncologist from Praxair Cancer Center, a long time board member and was instrumental in the founding of Ann’s Place. He spoke about Immunotherapy, one of the promising new cancer treatments which helps our immune system identify and fight cancer cells. We are so grateful for Dr. Cooper’s presence with us and his willingness to share his knowledge and expertise.